Crocker Chronicle: How First-Time Visitors Experience The U.S.
"Years before Senisha Millavanovich came to America, he watched National Lampoon's Christmas Vacation with his wife. 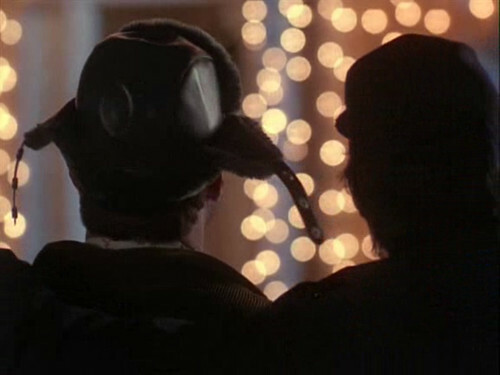 When the 1989 comedy showed Chevy Chase's satirically prototypical American family stringing up an over-the-top Christmas lights display, Millavanovich laughed, but not just because of Chase's slapstick antics. The entire idea of blanketing the front of your house in Christmas lights, he told a reporter with public radio's This American Life, had to be a joke. "When you look at the spoof movies or the comedies, they blow out of proportion things, just to make it funny. When I saw it I thought, this cannot be true. This is just too much lights," he said for a 2010 episode of the radio show. The U.S. can be such a jarringly strange place for many foreign visitors that travel guidebooks detail everything from the dangers of talking politics to tips on respecting Americans' famously guarded personal space. But what do those visitors find when they actually get here? This American Life spoke to a relatively narrow slice of foreign arrivals, but a thread on public question site Quora, jumping off from the radio segment, asks web users from around the globe to chime in with what surprised them about America."